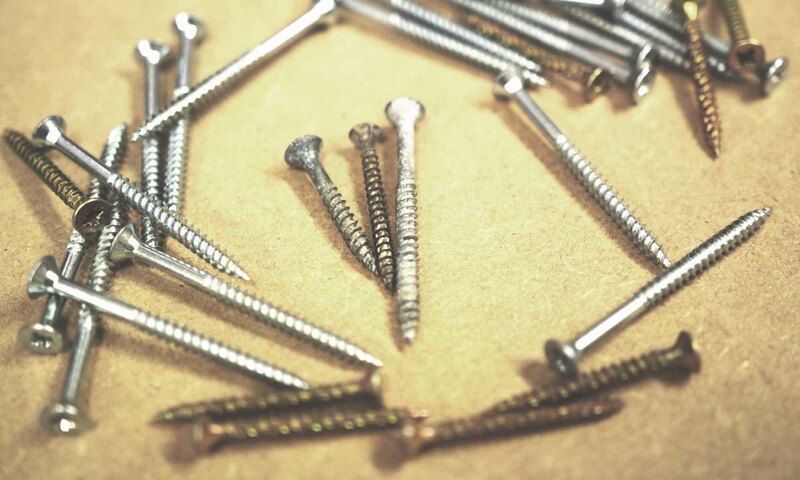 Today we’re looking at screws for using in the face grain of MDF. These are commonly used for things like euro hinges, brackets, drawer runners and all sorts of other things. So, what are the best screws for MDF? Let’s find out – welcome back to Test Tuesday! This is a really simple test, I’m simply using my test jig to pull the screw straight out of the MDF face grain, so this is an axial load test as opposed to a shear load test. These screws are idea for euro hinges and anything that can get away with the countersunk head where you don’t want to run ANY risk of the screw penetrating through the usual 18mm board thickness. That’s why this screw is so well suited to cabinet doors, not to mention it having the most impressive pull-out resistance. Although this came second last in the test, the 60+kg of pull out resistance is still very good. 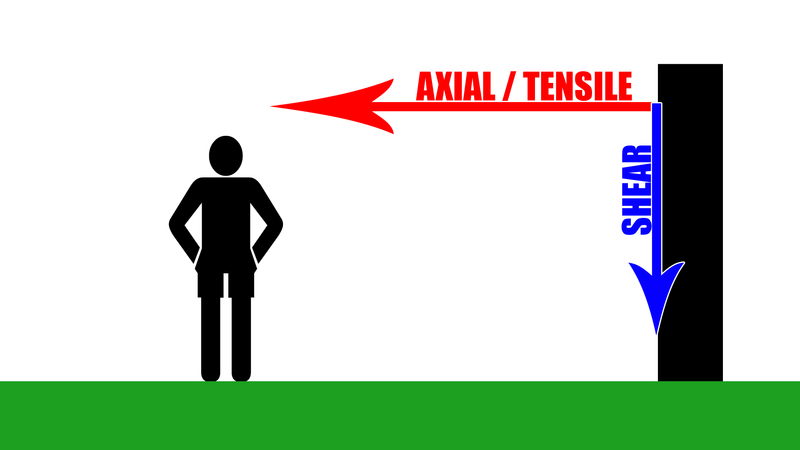 The main advantage of this is the flat, non-countersunk back and the wide, flanged head. This makes it especially suitable for brackets, drawer runners and the like. Sometimes the SilverScrew head of the 4mm screw can be too big for certain drawer runners (same goes for the EasyDrive screw). So it’s always handy to have a screw on hand with a smaller head for such situations. This GoldScrew still offers excellent pull-out resistance without there being any risk of it penetrating the standard 18mm thick board. Sometimes it can be tricky to get hold of the correct size versions of these. They’re often bespoke to hinge brackets and come with a tiny countersunk head. That said, they came second only to the SilverScrew listed above. The wider shank gives it a thread with a superior surface area making it especially suited to cabinet doors in pre-drilled 5mm holes. Whenever you smash up an old kitchen, salvage these from the hinges as they’re always handy to have around! 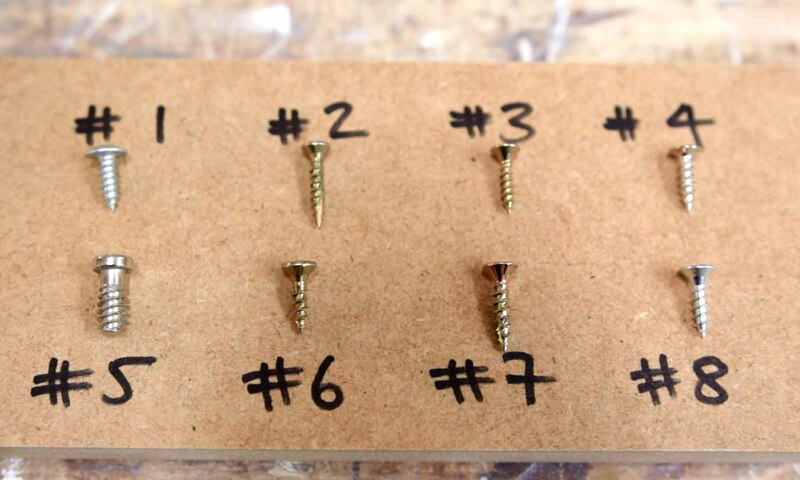 You can buy ALL of the screws in this test for under £20 (apart from the unbranded ones, obviously). I would personally suggest having all of them in stock, just in case. They all have their uses!